Thanks for listening to the Bob Harden Show. 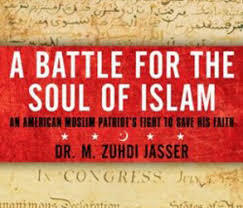 On Tuesday’s show, we discuss the reform movement in the religion of Islam and the need for the separation of Mosque and state with the author of “The Battle for the Soul of Islam” Dr. Juhdi Jasser. We discuss the disconnect between Trump’s popularity on the campaign trail and his performance in the polls with author and Contributing Editor to Barron’s in Washington D.C., Jim McTague. State Representative Kathleen Passidomo and I discuss the Zika virus threat to the Paradise Coast, Florida State Education Standards as well as her campaign for the State Senate. We also visit with Boo Mortenson. We have great guests lined up for Wednesday’s show, including U.S. Congressional candidate in District 19 Dan Bongino, the Chairman of the Cato Institute Bob Levy, author and Professor at the University of Houston Larry Bell, and local author and political activist Andrew Joppa.